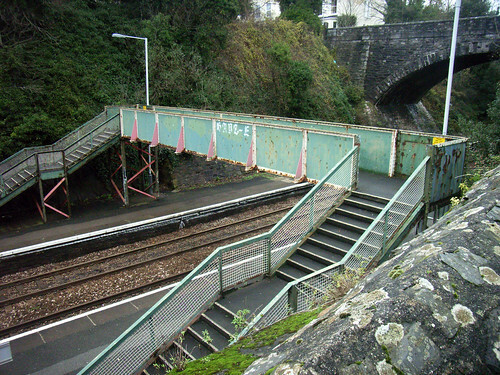 Looking well past its prime but with hints of former splendour is this lovely litle foot bridge betwen the two platforms of Devonport Station. 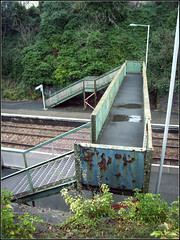 It looks like the bridge may have connected with the bank on the top right at one stage as there is a bricked in gap in the wall just level with the footbridge. 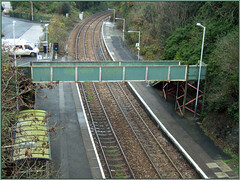 Plymouth Data has an excellent page on Devonport Station which is well worth a visit.